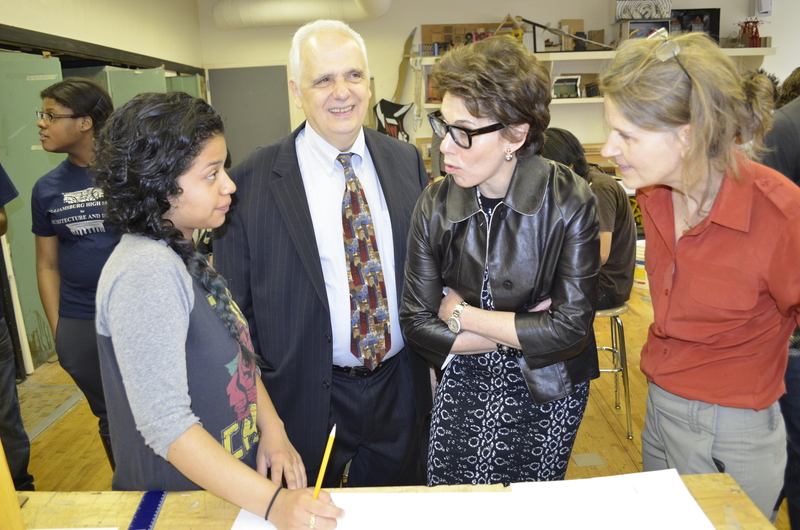 On Thursday, May 22, 2014 the WHSAD School Community welcomed Merryl Tisch, Chancellor of the NYS Board of Regents. 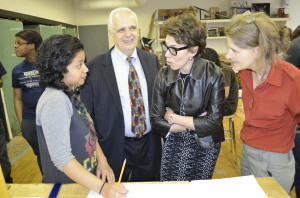 Assemblyman Joseph Lentol and NYS Regent Kathleen Cashin joined Chancellor Tisch on her visit to WHSAD. 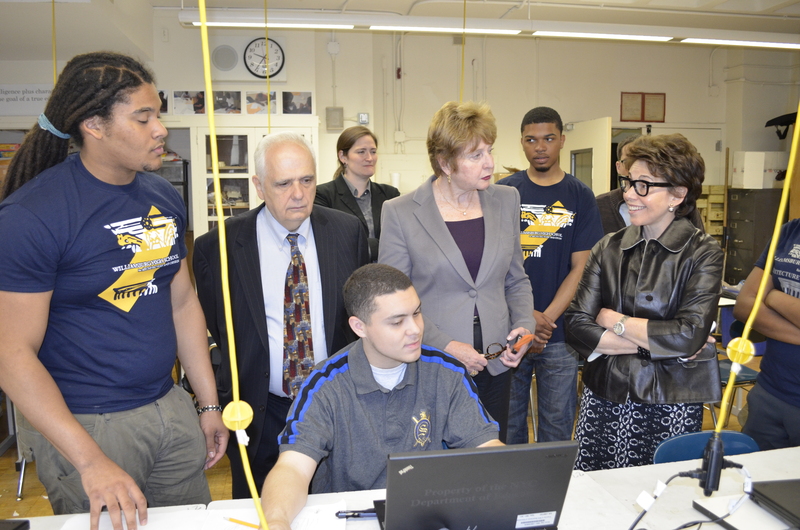 They toured the school and met with our staff and students. 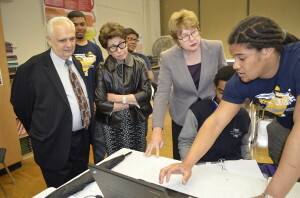 During their time here, Chancellor Tisch, Assemblyman Lentol and Regent Cashin were given updates on our architecture program as well as the community projects that were inspired by our students’ study of architecture.